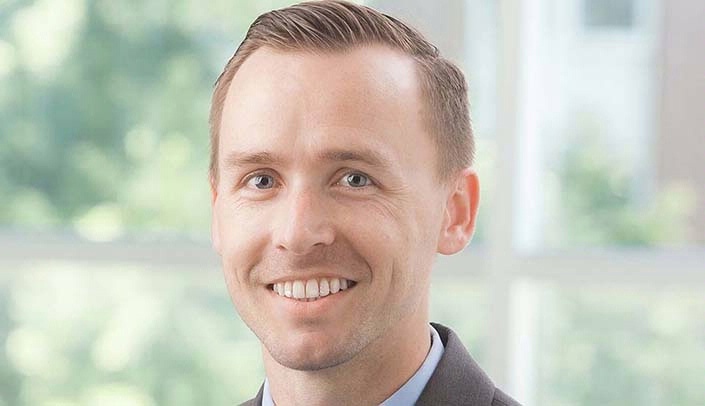 New faculty spotlight: Bryant England, M.D. Bryant England, M.D., is a new faculty member at UNMC. Clinical and translational research in rheumatoid arthritis (RA) focused on RA outcomes, extra-articular RA and multimorbidity. Diagnosis and treatment of inflammatory arthritis. As a trainee, I saw, and still see, rheumatology as an exciting field with advancing understanding of disease pathogenesis, an explosion of novel therapeutics and treatment approaches that can dramatically improve patients' lives, and the opportunity to form long-term relationships with patients as we help them age successfully despite having a chronic condition. I enjoy spending time with my wife and kids, running, and listening to jazz and blues music. Thrilled UNMC now has you as a "permanent" team member!